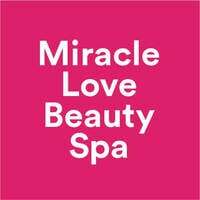 Miracle Love Beauty Spa greets patrons with warm colour schemes of red, white, and beige, along with a water feature, artistic wall décor, and dimly-lit treatment rooms. The beauty centre houses therapists with over eight years of experience who are trained to perform not only waxing treatments but also facial guasha, collagen facials, lymphatic reflexology massages, and more. Set within Taman Nusa Bestari in Skudai, the centre’s vibrant blue signage attracts patrons with transformational missions.